Patient was a 2-year-old child who came in with a diagnosis for being positive with rhino enterovirus and status epilepticus. However, she had an underlying comorbidity of dravet syndrome. The patient was also noted to be developmentally delayed for their age. Patient is noted to have allergies for nuts (almonds, peanuts, cashews, and pistachios). The patient had an older sibling who had also been diagnosed with a similar, but less severe case of the syndrome and both siblings were frequent visitors to the hospital. Literature has sown that while the mutations for dravet syndrome are usually de novo in most cases, there have been reports of inherited mutations in about 5% of cases, leading to its appearance in siblings (Panayiotopoulos & Engel Jr., 2018). Both patient’s parents were highly involved in the care of their child, staying at the bedside for most the day and administering the child’s medications when required throughout the day and night. It was evident that the child had a strong bond with both of her parents, engaging with them in play, as well as being cooperative in assessments with their physical presence. It was reported that the patient had previously had a seizure at 13:05 pm the previous day that had lasted 30 minutes with bilateral jerking movements of their eyes and lasting 30 minutes. The seizures left the patient lethargic, tired, and were accompanied by an altered level of consciousness. However, under my care, the child did not experience any seizures and was discharged towards the end of the day, having experience no new seizure activity. Clonazepam: 0.4 mg given once daily PO. Used in the treatment of myoclonic seizures, the recommended dose for a child under 10 and under 30 kg is 0.01-0.03 mg/kg/day in divided doses Skidmore-Roth, 2018, p.203). Stiripentol: 200 mg given twice daily. An anticonvulsant drug, used in the treatment of epilepsy and dravet syndrome. Used as an adjunct therapy along with Valproic acid and clobazam. Valproic Acid: Given twice daily at 150 mg. For children, the recommended dose is 20 mg/kg /dose rectally. Typically, this medication is indicated for the treatment of status epilepticus because it increases levels of GABA in the brain which works to decrease seizure activity (Skidmore-Roth, 2018, p.1188). Potassium Bromide: Given twice daily for 200 mg. A salt that is widely used as an anticonvulsant in epilepsy and generalized tonic-clonic seizures (Korinthenberg, Burkart, Woelfle, Moenting, & Ernest, 2007). Vitamin D: 1000 UI given PO once daily. The recommended dose for vitamin D is 600 to 1000 UI/day for a child between 1 to 18 years of age. Vitamin D is recommended for children who are receiving anticonvulsants or for children at risk for vitamin D deficiency (Carbonare, Valenti, del Forno, & Caneva, 2017). Ibuprofen: Given 130 mg q 6 hours PRN, used for the treatment of fever or pain and known as Advil. For children, the recommended dose when treating a fever for a child who is 13 kg is 130 mg, up to a max of 40 mg/kg a day (Skidmore-Roth, 2018, p.610). Phenobarbitol: 260 mg given IV if seizure restart and over 20 minutes. Is a barbiturate, CNS depressant which is used as a sedative and an long-term anticonvulsant for generalized tonic-clonic and cortical local seizures. Also, used in cases of emergency control for acute convulsive episodes such as those associated with status epilepticus. For infants and children, the dose for an episode of status epilepticus, is an infusion of 15-20 mg/kg IV, with the rate not to exceed 2 mg/kg/min (Buensalido, Wallace, & Valencia, 2017). Midazolam: Given 2 mg PRN q 4 hours. First line treatment for status epilepticus (Smith & Brown, 2017). A benzodiazepine and is a CNS depressant. The injection is also used to treat status epilepticus. Current guidelines recommend a dose of 0.3mg/kg up to a dose of 10mg/kg (Smith & Brown, 2017). Ativan: Given 1mg IV PRN. Also, known as lorazepam, helps to potentiate the effects of GABA, particularly in the limbic system and reticular formation. It is used in cases of anxiety, preoperatively, and for status epilepticus (Skidmore-Roth, 2018, p.724). The recommended dose for children is up to 4mg/dose (Skidmore-Roth, 2018, p.724). Vitals were stable and within normal range throughout the day. No significant finding upon visual inspection. Skin turgor was good; however, lungs were bilaterally congested and coarse and there was some crackles in the right lower lobe. Urine output was adequate. Dravet syndrome is caused by mutations in the SCN1A gene in approximately 80% of patients diagnosed with the condition and is de novo in 95% of patients (Osterman, n.d.). In this case, this patient had a medical history of being diagnosed with dravet syndrome, which is a severe form of epilepsy that lead to seizures that are often triggered by fevers (Dravet Syndrome News, 2018). Because of the prolonged nature (but shorter episodes) of the seizures this patient experienced, the state of their seizures was referred to as status epilepticus. Literature has indicated that respiratory tract infections have been associated with seizures (Brendish, Faust, & Tebruegge, 2015). In this case, the child had previously been admitted to the unit a few days prior for an upper respiratory infection and their seizures had been noted to be second degree to fever. Signs and symptoms for rhinovirus infections include a fever (typically seen in young children), nasal discharge and congestion, and a cough (Buensalido, Wallace, & Valencia, 2017). In this case, the patient presented to the ER with a fever and had prolonged seizures that lasted for approximately 30 minutes, with bilateral jerking movements of the eyes and myoclonic seizure activity. It is a common presentation to have febrile seizures (with or without myoclonic jerks/tonic clonic seizures) in the context of another viral illness, warm water, vaccinations, or warm weather (Osterman, n.d.). In this case, the child was noted to be positive for rhino enterovirus, which the fever was secondary to the infection. Children with dravet’s syndrome typically follow normal child development at onset, with speech usually beginning at a normal age, however as seizures become more varied and recurrent, there is often development regression until around the age of 6 years (Osterman, n.d.). This regression is often noticeable by two years of age, and in this case, it was noted that the patient had development delays which presented itself in behavioural issues and hyperactivity. Status epilepticus is a neurological emergency. Management for the seizures includes prompt administration of appropriate anti-seizure medications, identifying seizure precipitants, as well as managing any other systematic complications (Smith, McGinnis, Walleigh, & Abend, 2016). Initial presentation (within the first 5 minutes) of a seizure requires focus on the providing support for the patient’s airway, breathing, and circulatory functions (Smith, McGinnis, Walleigh, & Abend, 2016). This would include checking the patients’ vital signs (O2 sat, BP, HR), suctioning their airway, and establishing peripheral IV access, and checking the patients’ glucose levels to establish whether the patient is experiencing hypoglycemia (Brophy et. al., 2012, p.4). Lab tests should include blood glucose, CBC, a basic metabolic panel, magnesium, calcium, and AED levels (Brophy et. al., 2012, p.4). This will allow the medical team to determine whether there are other metabolic conditions needing to be treated. 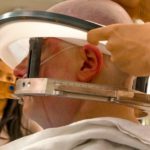 Once these have been stabilized, management of the patient should then more toward subsequent testing and treatment of both clinical and electrographic seizure activity (Smith, McGinnis, Walleigh, & Abend, 2016). Once the IV access has been established, a benzodiazepine should be administered, if IV access cannot be rapidly established or administered via that route, other routes of administration should be considered (ie. Rectal, IM, nasal, buccal). The goal of this is to stop the seizure. After about 5-10 minutes a neurologic exam should be attempted to evaluate for any masses (Brophy et. al., 2012, p.4). Approximately 20 minutes after the seizure, refractory treatment should be started to help stop further seizures, particularly for those patients that continue to experience seizures after receiving adequate doses of a benzodiazepine or antiepileptic drugs (Brophy et. al., 2012, p.3). Patients should also be continuously monitored on an EEG. Prolonged febrile seizures are the most common causes of status epilepticus in children (Brophy et. al., 2012, p.5). During the recovery phase, nurses should begin to collect subjective data which will evaluate the patients level of consciousness, confusion, and whether the patient is experiencing any nausea/vomiting, or drowsiness. Conversely, the collection of objective data will include any notable repetitive behaviours, staring off into space, their LOC, loss of bowel movements, and any whether any rhythmic or specific twitching was experienced during the seizure (Abend & Loddenkemper, 2015). What are the pharmacological management options, why are these appropriate? In cases where the child is experiencing a seizure episode, standard protocol calls for performing non-invasive airway positioning, assessment of ventilation and perfusion by doing vital signs, and establishing a route for peripheral intravenous access. 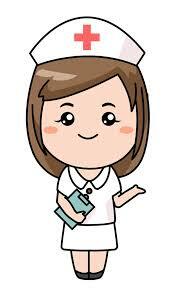 In this case, an IV had been started on the child in the emergency department and a benzodiazepine (ex. Ativan or clonazepam) was administered to the child. Seizures cause excessive activities of the nerves in the brain, and benzodiazepines works to cause mild to severe depression of those nerves within the brain, as well as sedation (Anderson, 2014). The American Epilepsy Society’s guideline states that IV Lorazepam (0.1 mg/kg), midazolam (5mg if over 13 kg), and diazepam (0.15-0.2 mg/kg) is the gold standard for treating seizures lasting more than 5 minutes (Smith, McGinnis, Walleigh & Abend, 2016). Smith et. al (2016), also noted that Valproic acid was effective in the treatment of both generalized and focal epilepsy and is an appropriate refractory treatment option in children. Conversely, as it was important to manage any increase in body temperature (ie fever) the patient was experiencing, in response to this antipyretic (ex. Tylenol and Advil) were prescribed and given PRN. Most antipyretics work by inhibiting cyclooxygenase and reducing levels of PGE2 in the hypothalamus (Aronoff & Neilson, 2001). My main priorities for today’s assessments were to monitor for any changes in the patient’s body temperature, as this could have triggered an episode of status epilepticus. As dravet syndrome is a severe form of epilepsy that can lead to prolonged seizures because of an increase in body temperature. Therefore, it was important to ensure the patient’s body temperature was recorded in a timely manner (every 2-3 hours). Seizures were noted to be second degree to fever, so it was important to monitor body temperature. In this case, it was important to ensure patient safety including checking to see suctioning equipment was in the room, side-rails were up and or padded, making sure there were no restraints, and ensuring there was another individual with her always. It was also important to ensure that anti-seizure medications were given to the patient on their appropriate medication schedule. This includes the administration of Valproic acid, clobazam, and stiripentol. As the child was admitted for enterovirus, my second priority was to monitor their breathing and hydration status. A common trigger for seizures in people with a form of epilepsy is suffering from some kind od acute infection or illness. Conversely, not eating or drinking well can also be an additional trigger for seizures (Schachter, Shafer, & Sirven, 2014). In one study, having a cold was noted to be a precipitating factor for seizures (Verbeek et. al., 2015). It was also important to pay attention to the child’s respiratory rate, work of breathing, and if there were any secretions. 2. By ensuring patient safety if the patient were to experience another seizure, I would likely reduce the risk for choking or aspiration and breathing failure. Since there is no cure for dravet syndrome, medications aim to reduce the number of seizures a patient experiences. One issue apparent in children with dravet’s syndrome is the dosage for benzodiazepines, it in this case it was evident that the parents knew which medications the child needed, the dose, and at what time and it was more important to offer support rather than take over the task. This is evident in cases of other parents with children diagnosed with dravet syndrome (Camfield, Camfield, & Nolan, 2016). The most common trigger for a seizure in cases of epilepsy are due to a missed dose of medication because to work effectively there needs to be a steady level of the medication in the bloodstream (Schachter, Shafer, & Sirven, 2014). 3. As the patient had been previously admitted for enterovirus (an upper respiratory tract infection), it was important to ensure that their breathing was not being compromised as their chest was noted to be congested and breathing was coarse. It is also important to note that ineffective airway clearance can occur due to neuromuscular damage due to loss of consciousness both during and after seizures and therefore a patent airway should be maintained (Lewis, Dirksen, &Heitkemper, 2014). Because the patient was suffering from a cold, it was evident that they had increased secretions both from listening to their chest, as well as from the drainage coming from their nose. Other triggers besides a change in body temperature include other medical issues which includes the common cold (Schachter, Shafer, & Sirven, 2014). By listening the patient’s chest every 1-4 hours, I would expect that I would be able to detect any changes in their respiratory rate pattern, or depth if a change were to occur. This would ensure the patient had a patent airway if they were to experience another seizure (Lewis, Dirksen, & Heitkemper, 2014). As new nursing students, we are taught how to conduct a good physical examination of a patient or how to get a patient to take deep breaths after a surgical procedure, but in pediatrics special challenges come to the forefront. Today I felt I learned quite a bit on how to care for a child in the toddle age group. Prior to this experience, I had only been exposed to infants and young adults, who were generally cooperative when performing physical assessments. However, working with a toddle toddler today posed many more difficulties. In this case, the child was a two-year-old, who likely had little understanding of the assessments needed to monitor them throughout the day. This is common in children because they often have difficulties expressing how they feel (ex. anxieties, fears) or why they don’t want to have treatment done (Jain, Sarkar, Saha, & Haldar, 2016, p. 177). As the child was two years old, she would be classified as being in the pre-cooperative phase. In this case, the child was noted to also be developmentally delayed and likely contributed to a reduction in their ability to communicate and comprehend what was being done (Jain, Sarkar, Saha, & Haldar, 2016, p. 177). Because I had difficulty performing my first assessment on the child I found it frustrating because they refused to cooperate whenever I tried to put any equipment to take their vitals on them. This feeling of frustration is common in pediatric nursing, particularly when nurses can’t bridge the communication gap, making it feel at times as if the nurse cannot do their job (Williams, 2017). However, upon doing my second set of vitals I felt I was better prepared in using distractions such as asking her to show me how to play with her toys an asking her mom to help settle the child down as I took the child’s BP, temperature, and O2 sat. Distraction is a common nonpharmacological method often performed during procedures by nurses, the child’s parents or a child life specialist, and is also noted to be helpful in alleviating pain (Srouji, Ratnapalan, & Schneeweiss, 2010). Abend, N. & Loddenkemper, T. (2015). Management of pediatric status epilepticus. Curr Treat Options Neurol, 16(7):301. Skidmore- Roth, L. (2018). Mosby’s 2018 nursing drug reference(31stedition). St. Louis, MO: Elsevier Mosby. Srouji, R., Ratnapalan, S. & Schneeweiss, S. (2010). Pain in children: assessment and nonpharmacological management. International Journal of Pediatrics, 2010. 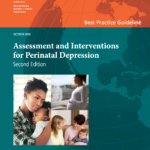 Previous Previous post: Assessment and Interventions for Perinatal Depression. Next Next post: ‘An incredible window into the brain’: New treatments target severe depression.